Samsung Pay launched in Australia on June 15th, with American Express and Citibank as Samsung Pay’s local launch partners with Citibank having Visa and Mastercard offerings, that might be supported by Samsung Pay. The service also supports loyalty and gift cards. 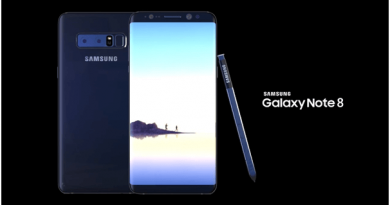 Samsung Pay will work on both Samsung’s Galaxy S7 and S7 Edge, and other recent Samsung phones including the Galaxy Note 5, Galaxy A5 and A7. 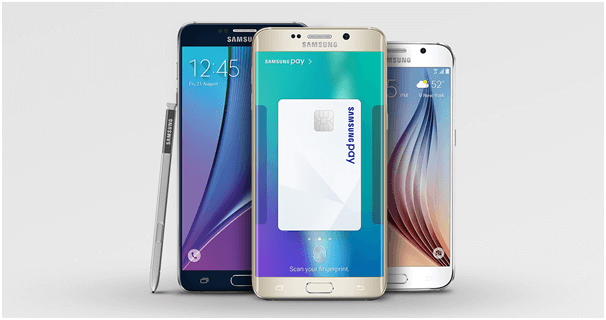 The Samsung Galaxy S6, S6 Edge and S6 Edge+ also support Samsung Pay internationally, but it’s not yet confirmed whether Australian phones will be updated to operate the service. The unique selling point of Samsung Pay internationally is that both the service itself and the hardware in supported phones not only includes NFC/RFID chips for contactless payment, but can also function as a virtual magnetic stripe card through Magnetic Stripe Technology (MST). Samsung Pay is secured and activated using phones’ fingerprint readers, so is theoretically less prone to skimming or unauthorised use than a NFC-enabled card. Samsung Pay already has more than one Aussie bank on board. The payment infrastructure in Australia is markedly different to Samsung Pay’s launch market of the US. Where the US is still heavily reliant on MST — Magnetic Secure Transmission, the passive magnetic strips on cards and has small penetration of NFC card readers, Australia’s chip-and-PIN systems and the launch of VISA Pay Wave and Mastercard Pay Pass means the country is primed for payments via smartphone. Even smaller institutions in Australia like Credit Union Australia often already have contactless payment apps for Android. That means the appeal of Samsung Pay is not purely in replacing the average RFID/NFC chip-and-PIN-enabled credit or debit card from Australia’s banks. There is a convenience factor which is faster but the fact that it’s easy, not just for customers but for card providers like Cuscal or individual banks to implement, with no costs beyond app development and the ongoing service expense of supporting another payment method in a crowded marketplace. Using Samsung Pay is very simple. From a locked, powered-off screen, swiping up from a Samsung phone’s lock button across the lower half of the screen launches Samsung Pay within half a second, displaying a carousel of registered cards. Tap your (registered) fingerprint on the physical home button, and the NFC chip will activate, opening the phone to communicate with a NFC card reader and submit a payment for the net 15 seconds. According to Samsung customers’ data is not gathered by Samsung, and any payment data that is captured is only limited like transaction records and only then after specific agreements with individual banks. American Express, for example, shares full transaction records with Samsung Pay to make it easier for customers to monitor any payments made from their accounts. Others share only transactions made through Samsung Pay. The usability of Samsung Pay, on a compatible Samsung smartphone, needs software and hardware alike to be free from hacking or interference. Samsung Pay requires the company’s secure off-SoC Knox hardware, and currently the Galaxy Note 5 is one of few phones with official support for the service, alongside the mid-range Galaxy A3, A5 and A7. Soon it will be expanding the service to the Galaxy S6 in Australia, where it has enjoyed excellent sales and has the necessary hardware but is not officially supported yet. One of the major parts of Samsung’s necessary deal with banks is in setting up a system is a single-use authentication token which is created when Samsung Pay is launched and used. That token is encrypted, and many banks also use time-based expiry to further protect each payment against potential hijacking. It’s not impossible for a dedicated individual to ‘hack’ a Samsung Pay device — nothing is impossible — but the reward is extremely limited in scope if only a single payment can be made. With its launch in Australia, Samsung Pay should present strong competition to Apple Pay, as well as the less system-level integrated device-agnostic Android NFC apps of Australia’s major banks. 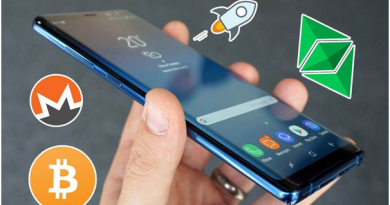 Also it will depend primarily on how many banks and card providers Samsung can get on board before and in the early stages and whether the company can convince consumers to ditch their cards and use a phone instead.